Lose weight naturally and safely, all without crazy diets or other extreme measures using our core subliminal weight loss album! Do you jump on any new diet that comes out believing that this one will finally help you to become fit? Do you find yourself making up the reasons NOT to go to the gym more often than not? Are you losing belief in your ability to ever lose excessive weight? Would you like to finally get rid of the pressure and to start losing weight naturally and effortlessly? If you keep fad dieting and your weight keeps "yo yo-ing" then there are elements (long held habits and negative patterns of thinking) within your mind which are holding you back. This gets worse with time as you keep failing with every new diet and exercise regime, making you believe that you are truly unable to do this. Lucky for you, this isn’t true. Everything that holds you back is only in your mind, stored in the unconscious part of it - it’s the negative thought patterns related to your ability to succeed in losing weight. And these patterns aren’t set in stone - you really can change them with this album and make a positive change to your life (and your waistline). 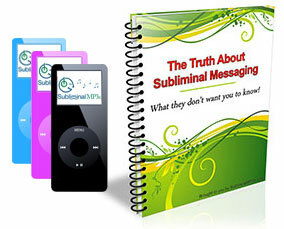 Weight loss with subliminal mp3s is not a new concept, and is actually a very natural and simple method of weight loss. Subliminal audio simply sends positive suggestions into your subconscious mind which will strengthen you mentally, to help you reach your weight loss goals. They will give you extra motivation and willpower to help you succeed with your weight loss plan, and the strength of mind to stick to your diet and resist temptations. They will also motivate you to really want to exercise. Gradually, exercise will just become a normal part of your life - it will stop being a chore and you will actually start to enjoy it. Gradually your whole attitude towards food and diet will change. Healthy foods will become normal to you, you will stop craving fatty and sweet foods in excess, and eating healthily will just become a normal, everyday activity. Before long you will really start to develop a liking for the new healthy food you eat. Finally they work to instil within you a positive attitude and a really solid belief that you can and will lose weight and that nothing will stop you. Simply put, they will support you mentally and give you the mental qualities required to succeed. This album will not work for you if you expect to just listen to it and lose weight without changing your lifestyle, eating patterns, or exercise habits at all. However if you have the physical wishes to lose weight and are taking actual steps towards these goals this album will ensure your subconscious mind is 100% behind you to give you a much increased chance of succeeding. Soon after listening to this album you will feel different - you will feel more driven, motivated and positive about losing weight. As these changes continue to build then sticking to your healthy eating habits and keeping your weight loss commitments will become more and more natural to you: You will naturally "learn" the habits required to lose weight and keep it off. Get started today with this life changing album - re-wire your mind and change your body - forever!